Synopsis: Villain, Malayalam movie is written and directed by B. Unnikrishnan and produced by Rockline Venkatesh. 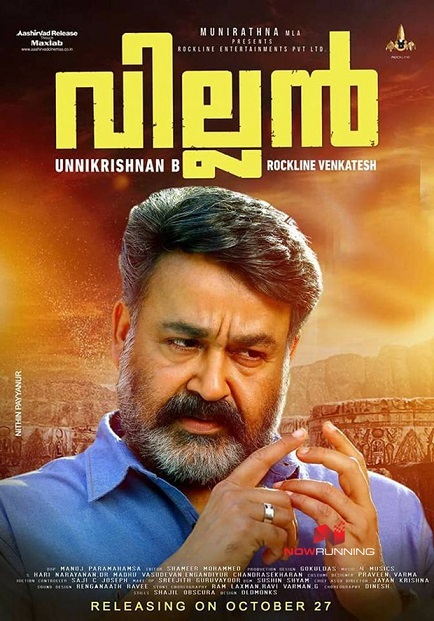 The main cast include Mohanlal, Vishal and Manju Warrier. This is the first Indian film to be filmed and released IN 8k resolution. Production company Rockline Entertainments Pvt Ltd.